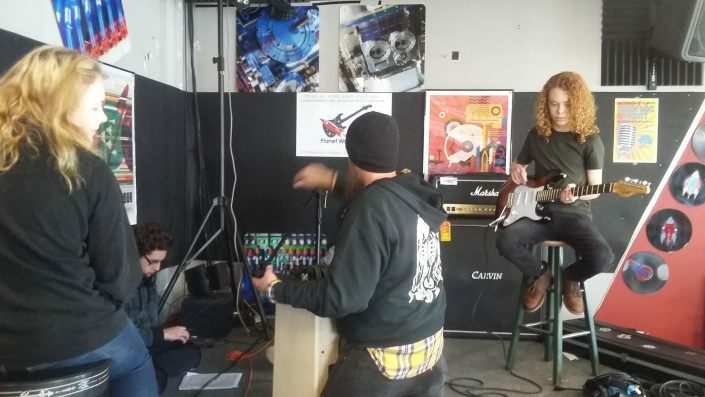 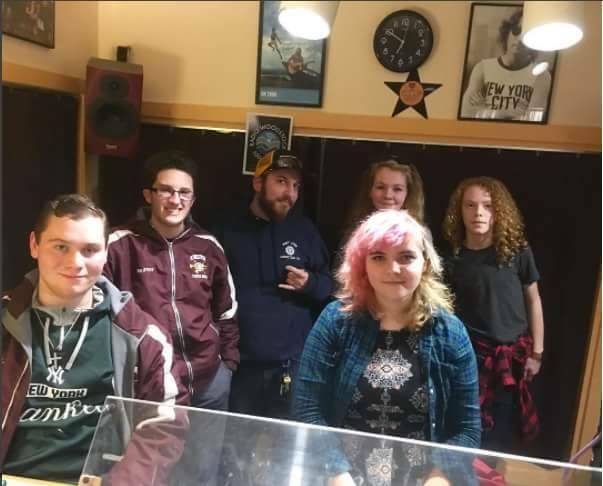 Planet Woodstock is host of the Planet Woodstock Rock Club (PWRC), a group of 7th-12th graders interested in learning about the music industry, and creating a local music scene. 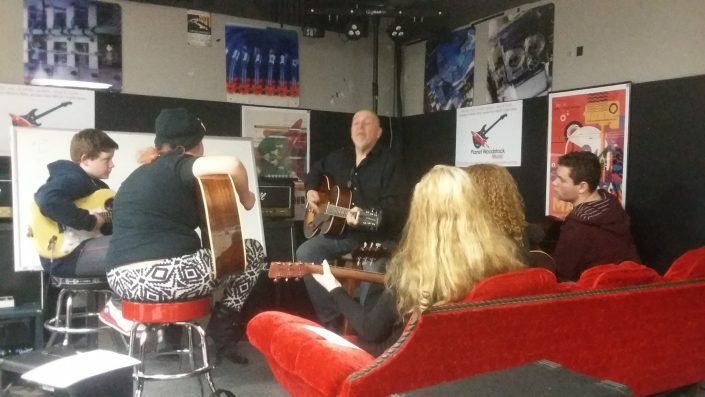 Local musicians and professionals come in as guest teachers and share their knowledge with the club. 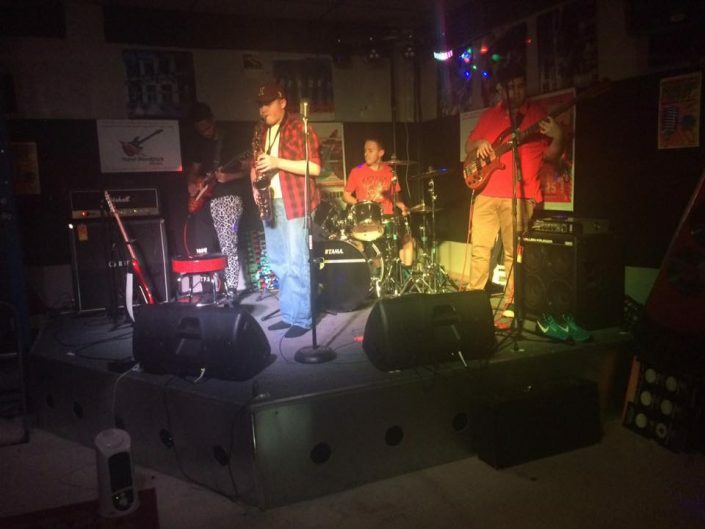 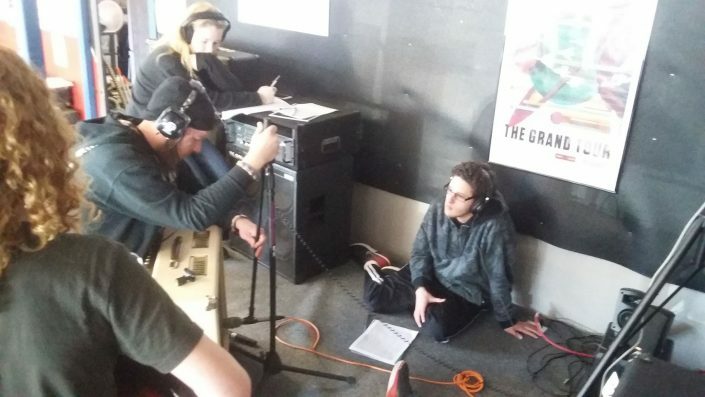 The students set up a local all-ages show once a month on the Planet Woodstock Stage and run all parts of the event – from sound to the door.